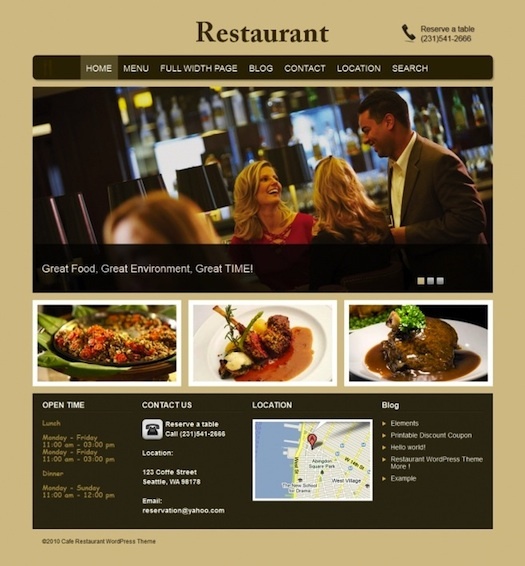 Build a professional website for your Restaurant / Cafe business easily with Restaurant WordPress theme – Restaurant. With Cool drop down menu, food menu, stylish slider will make your site looks great! Features include food menu cards, google maps integrated, business hours, image slider, contact page, business contact information, blog integrated and more. Restaurant Wordpress Themes Copyright © 2019.